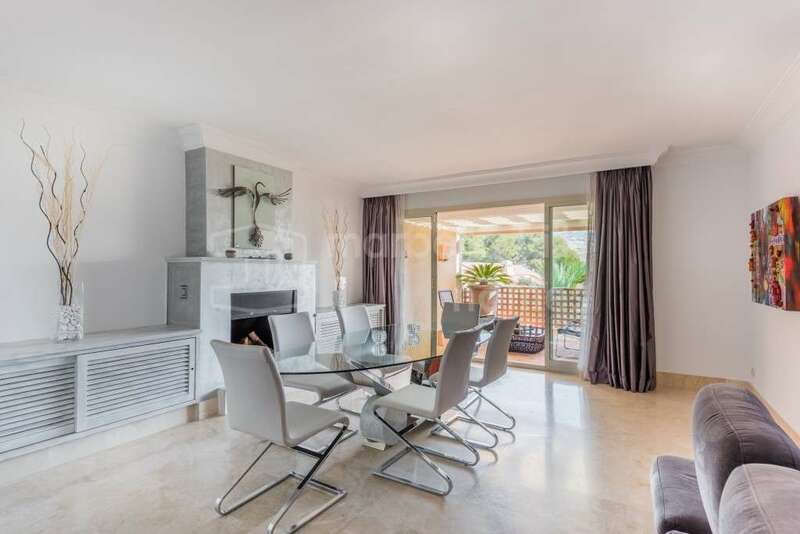 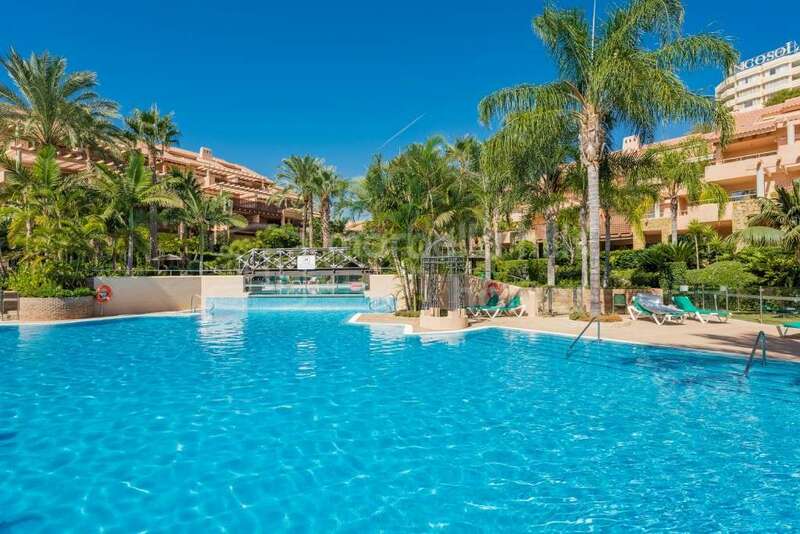 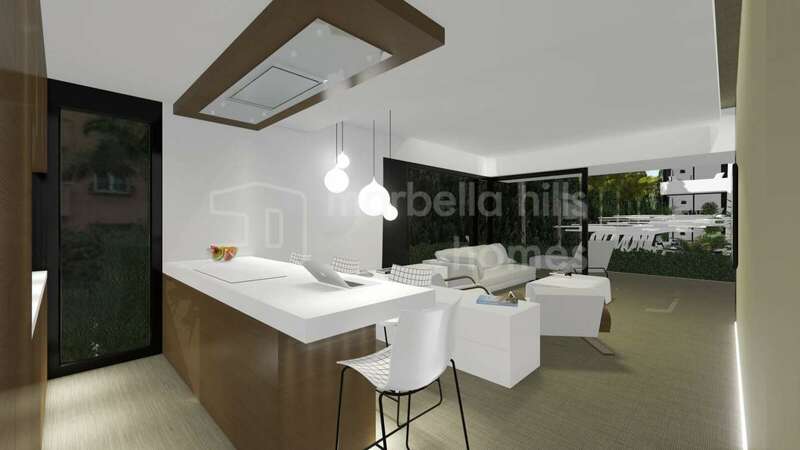 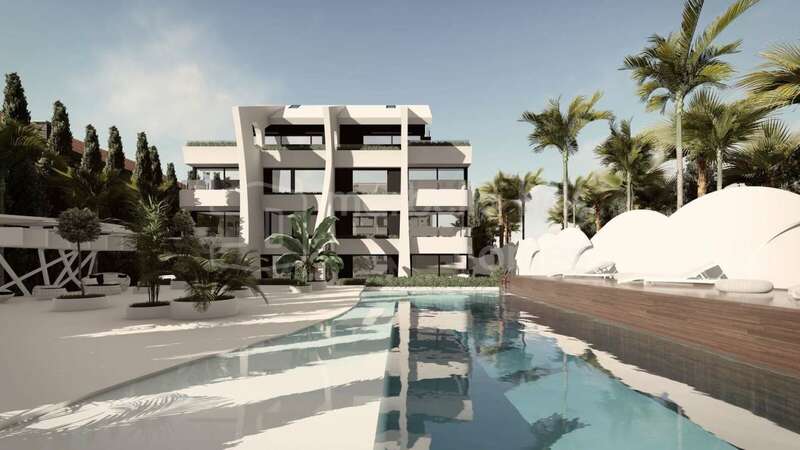 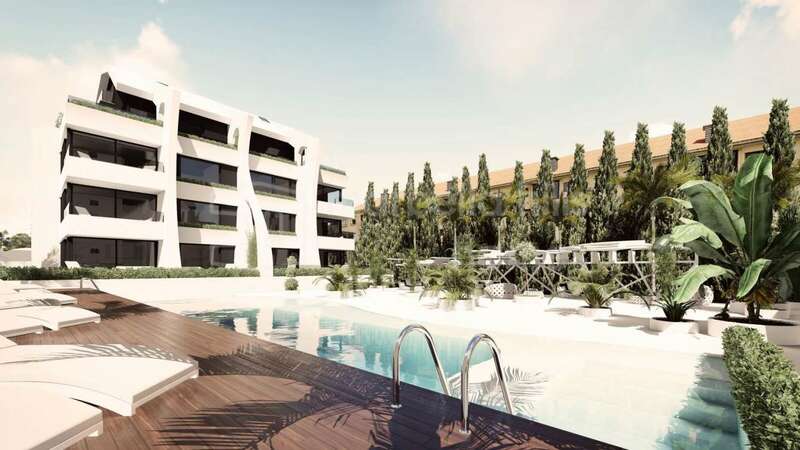 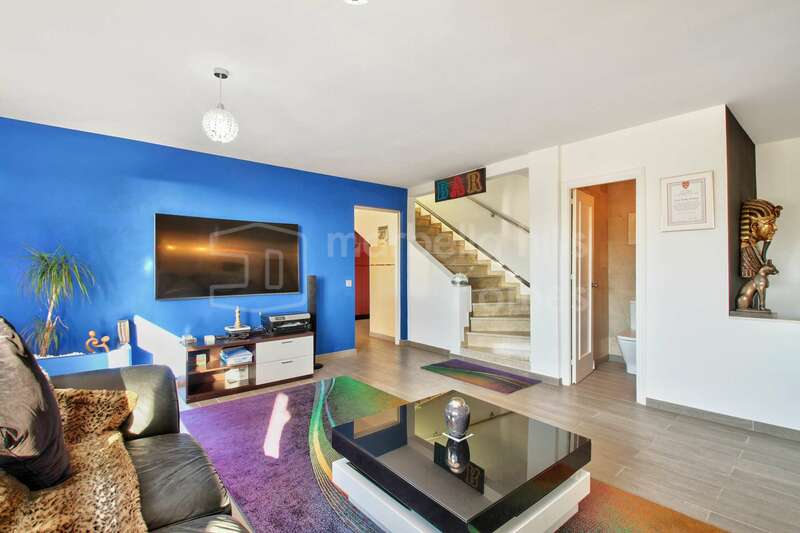 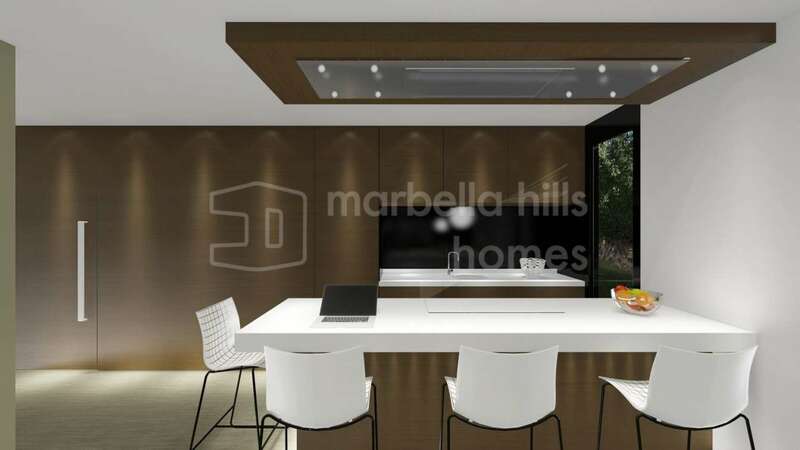 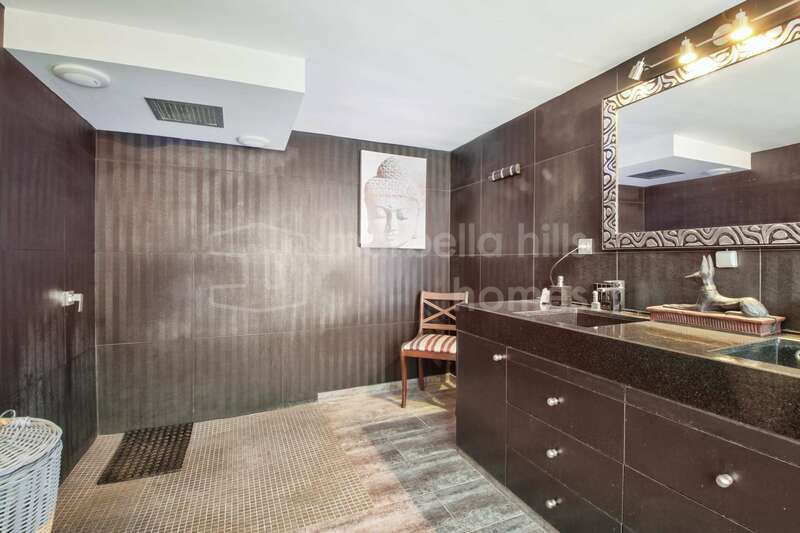 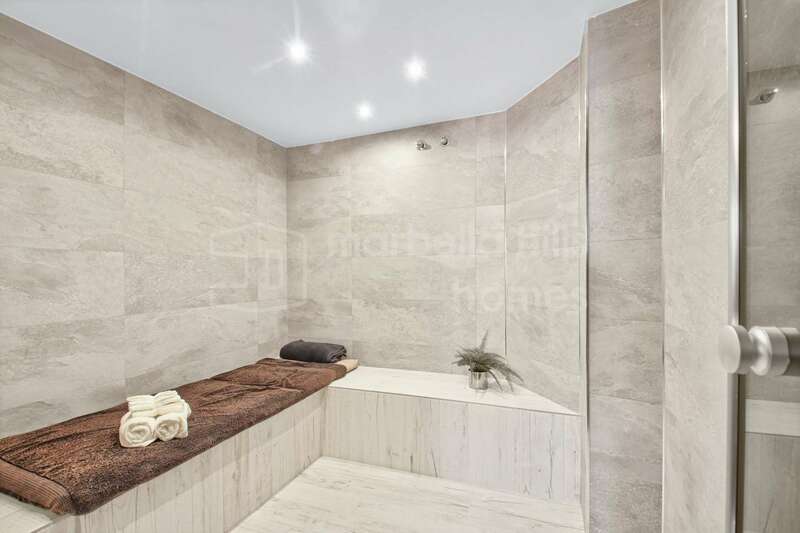 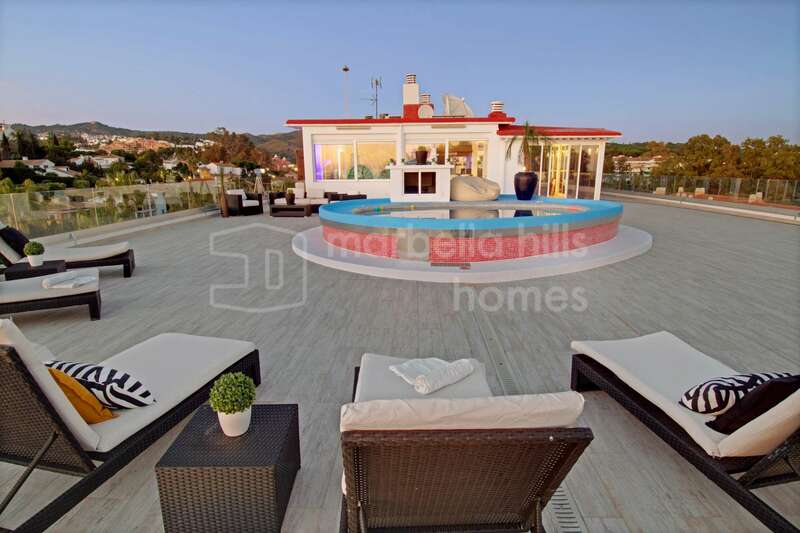 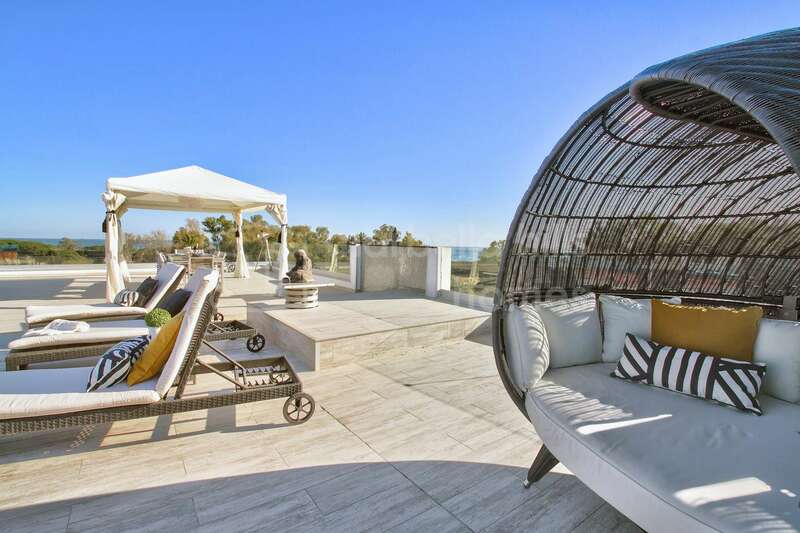 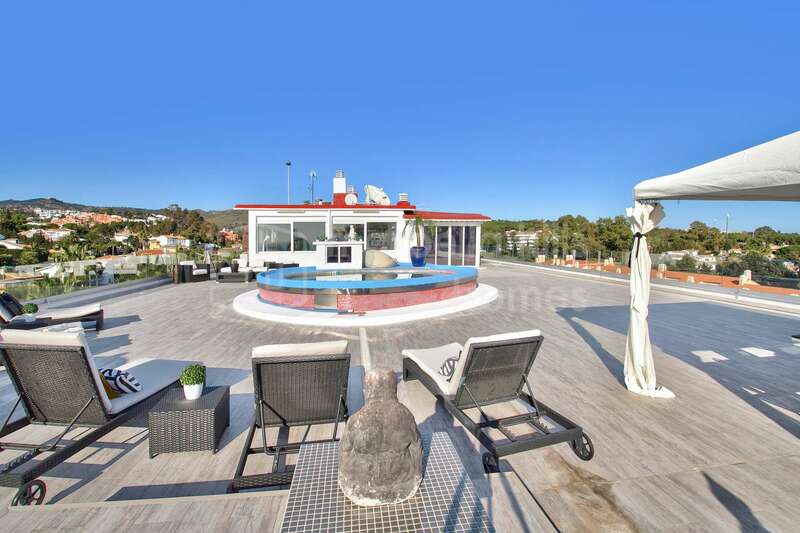 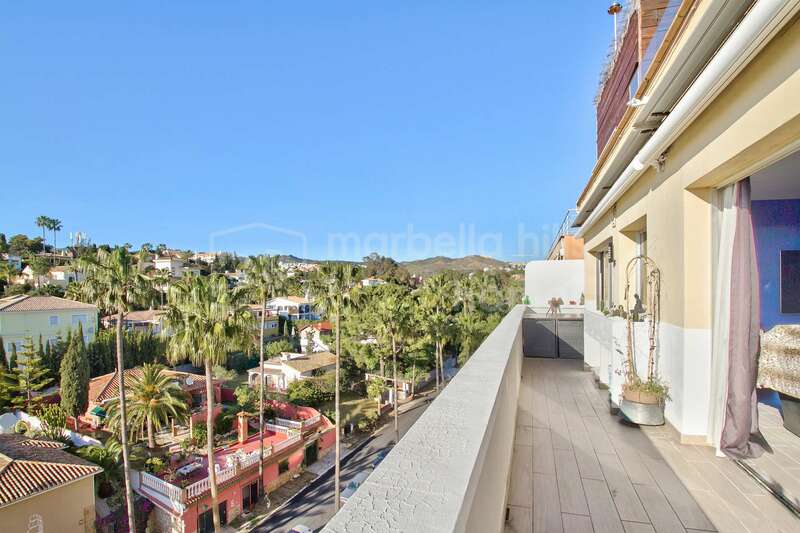 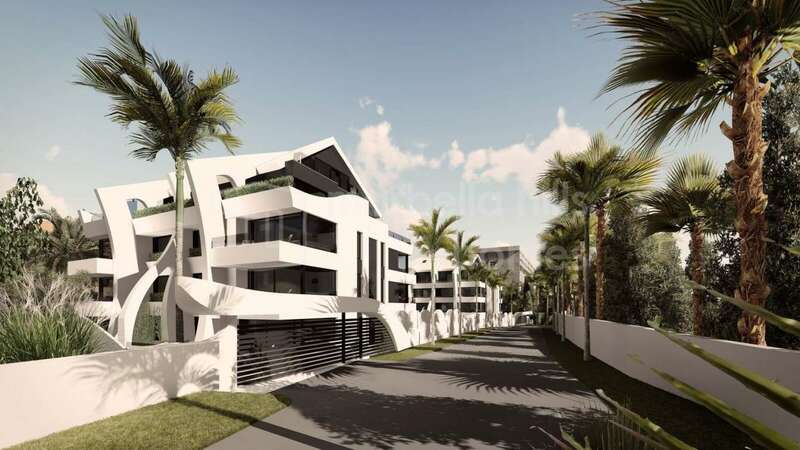 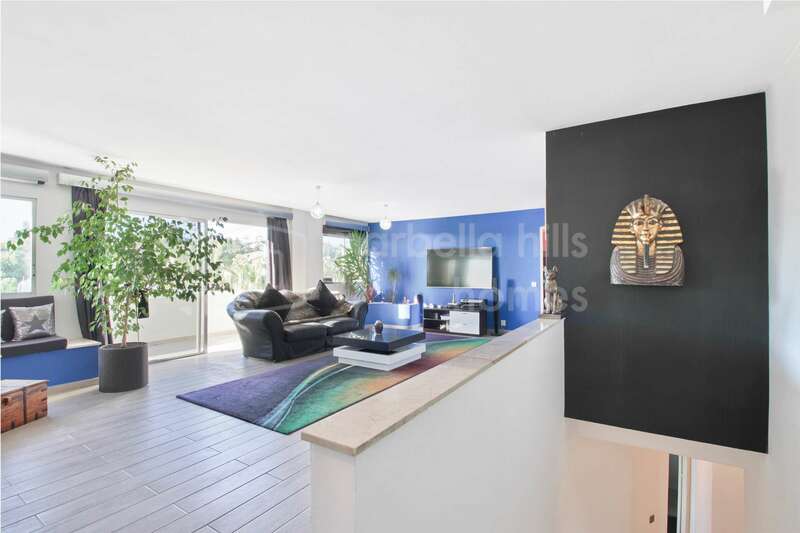 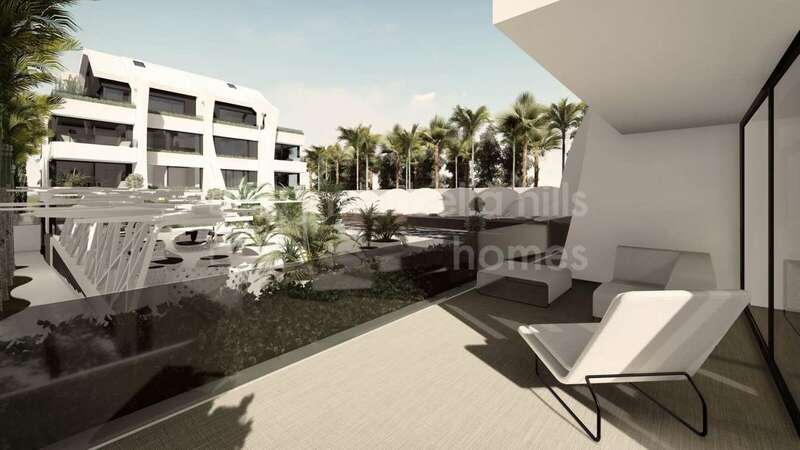 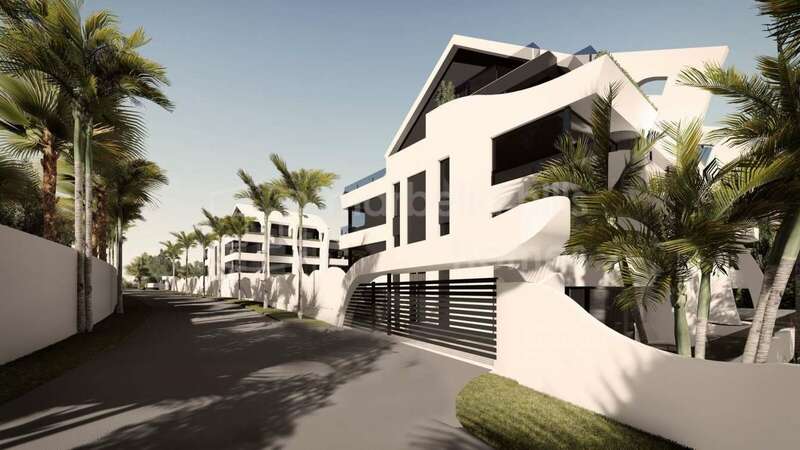 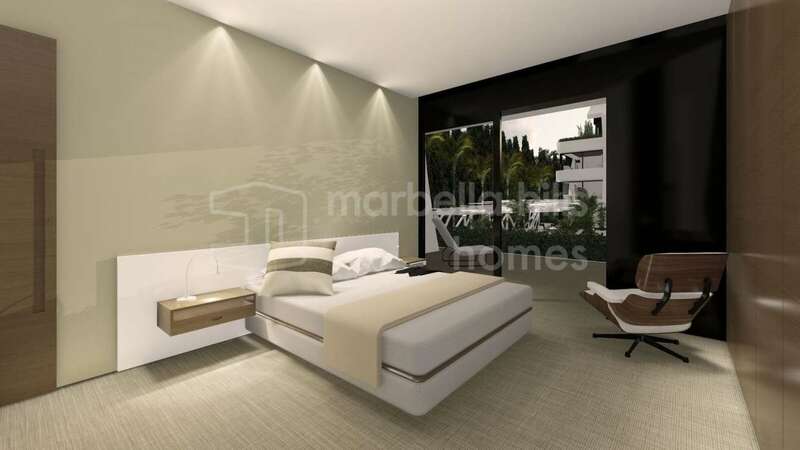 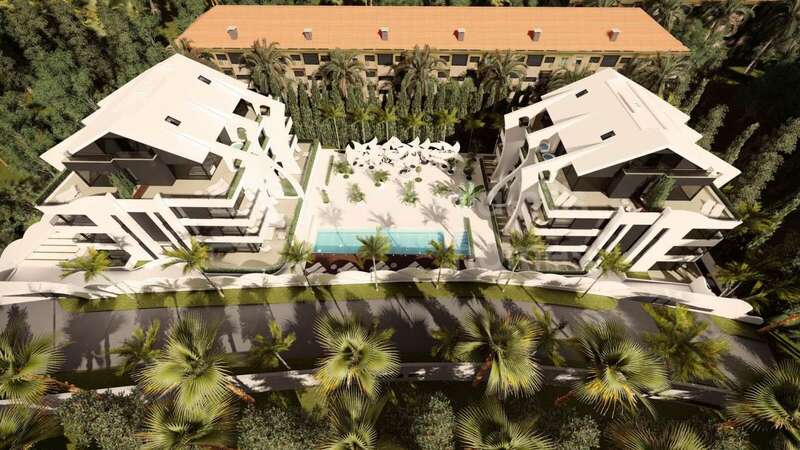 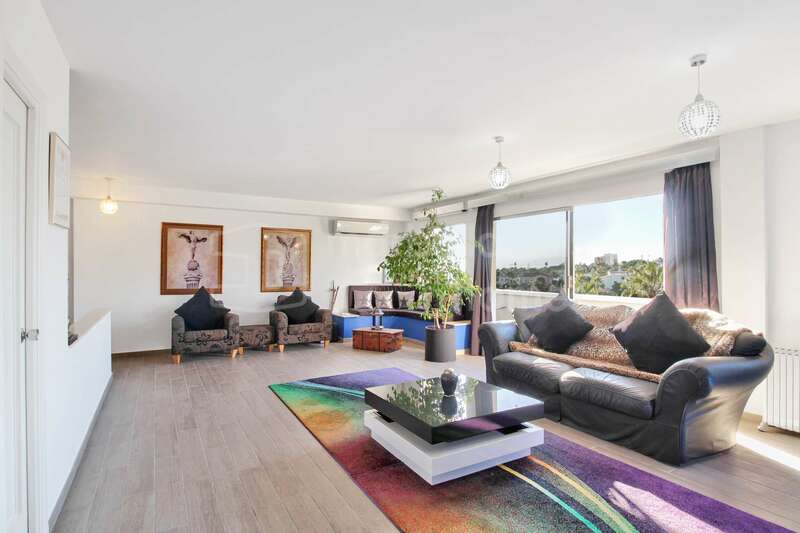 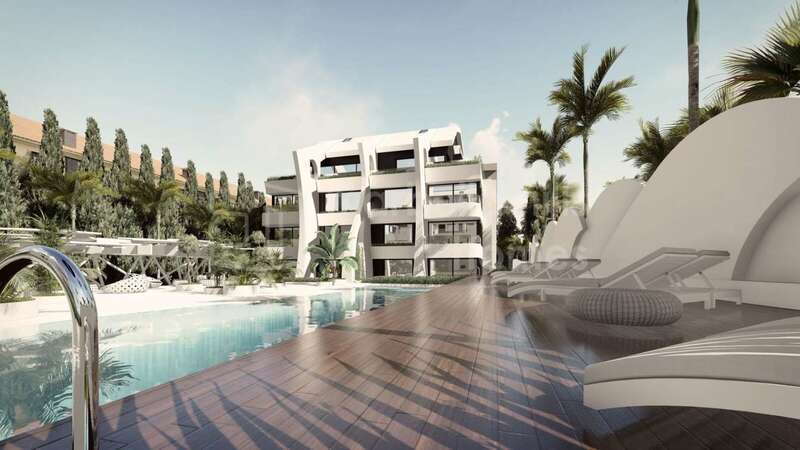 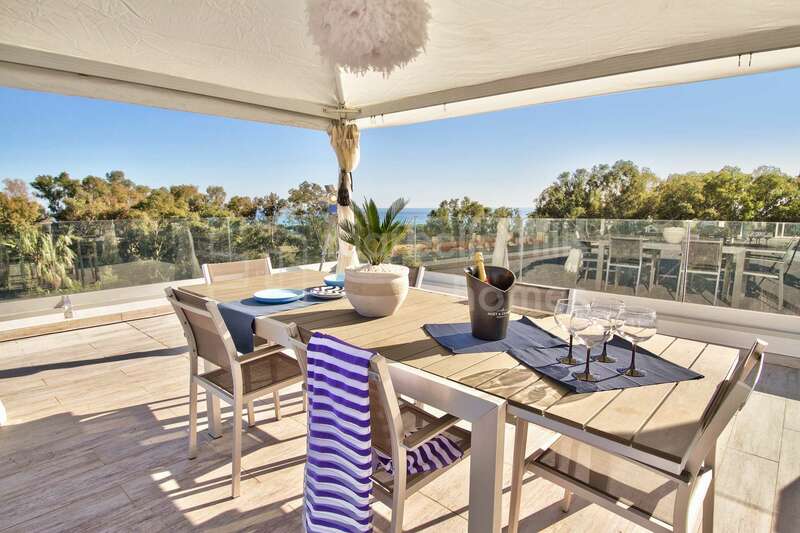 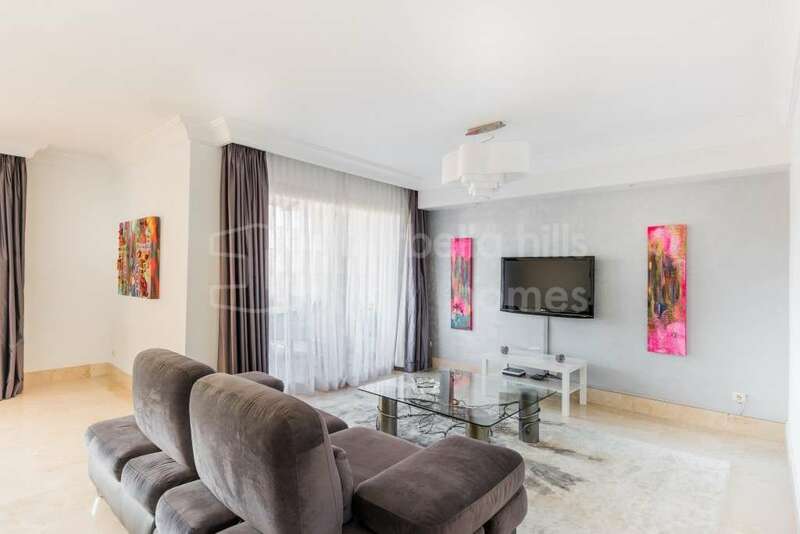 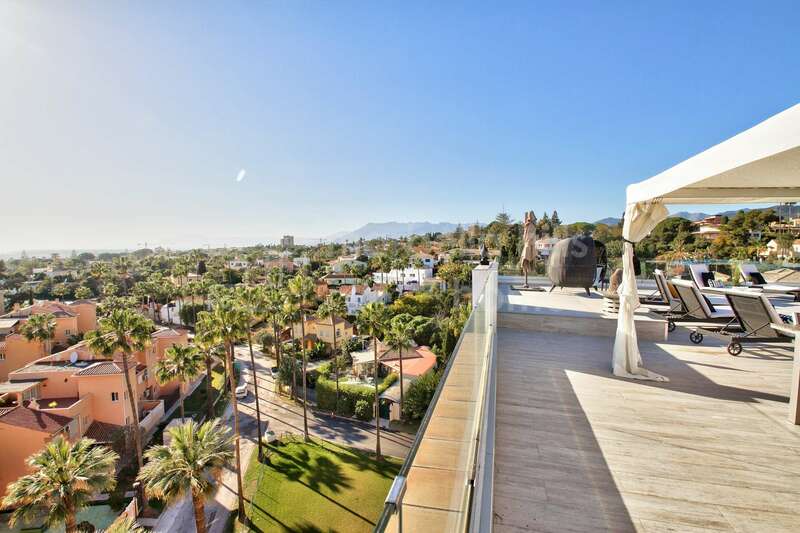 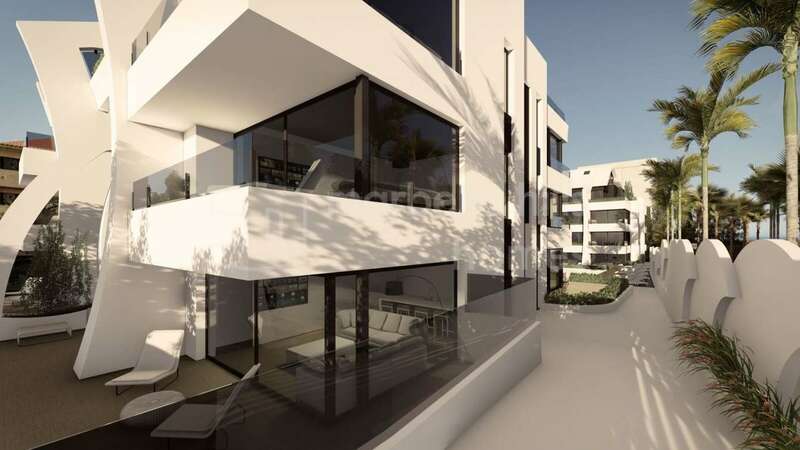 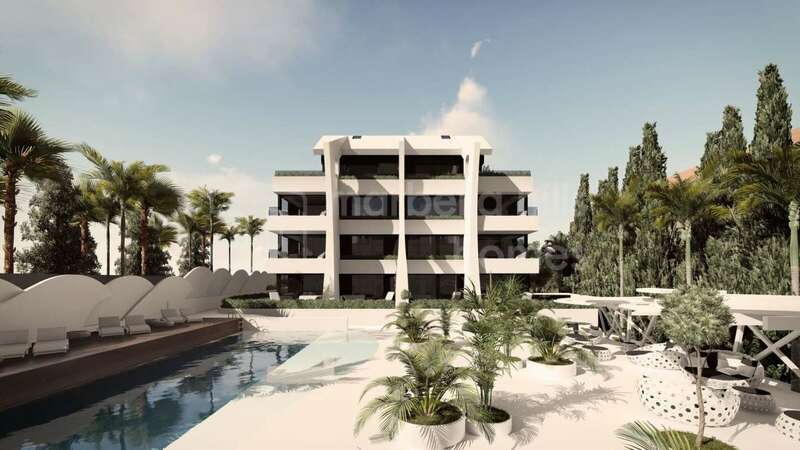 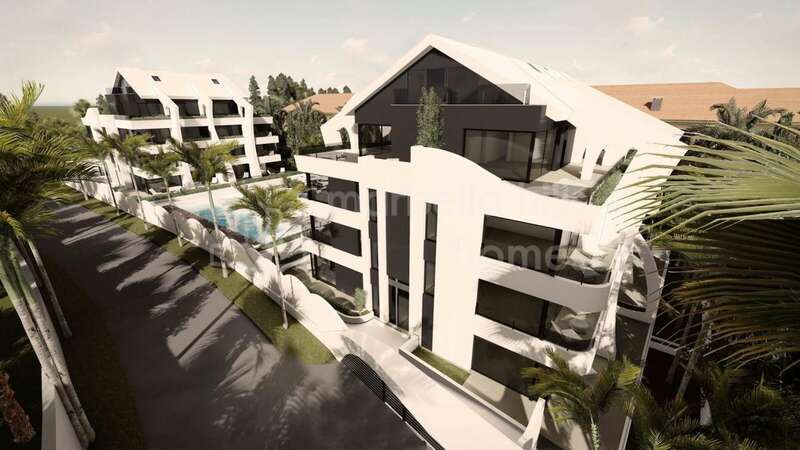 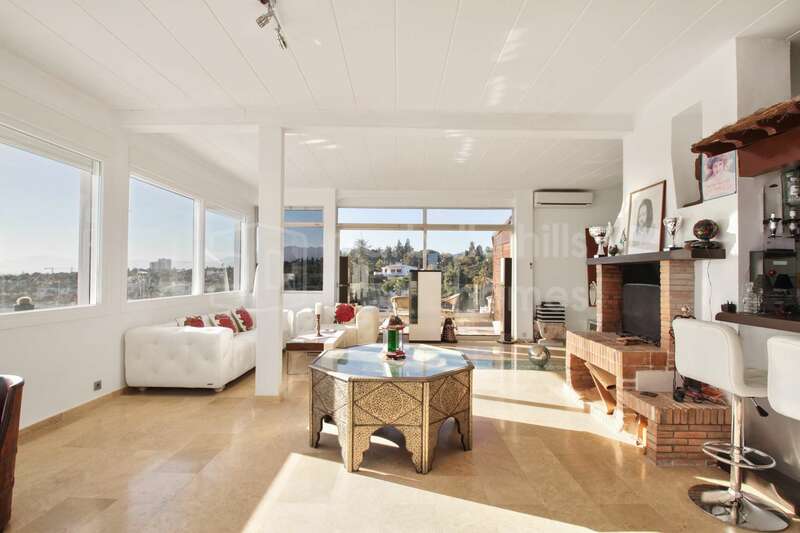 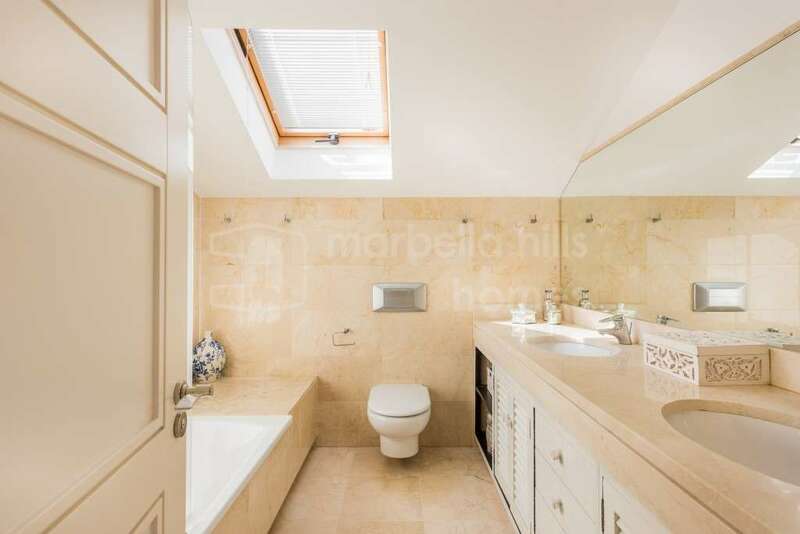 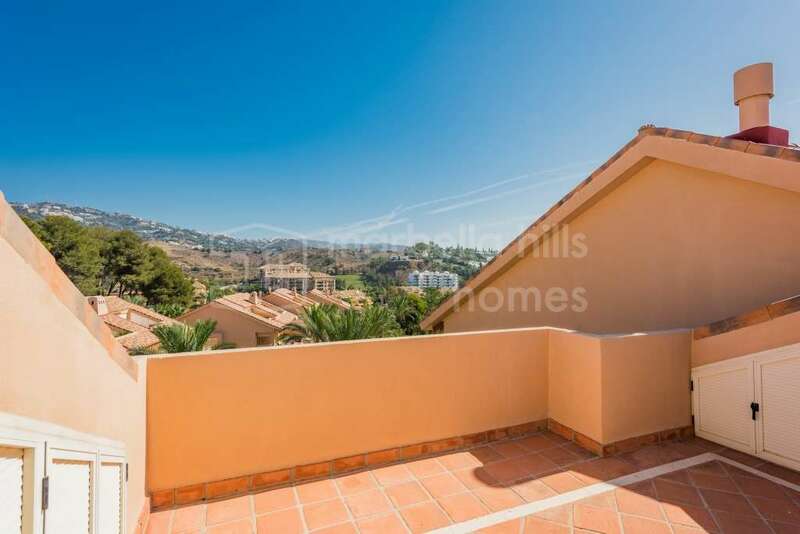 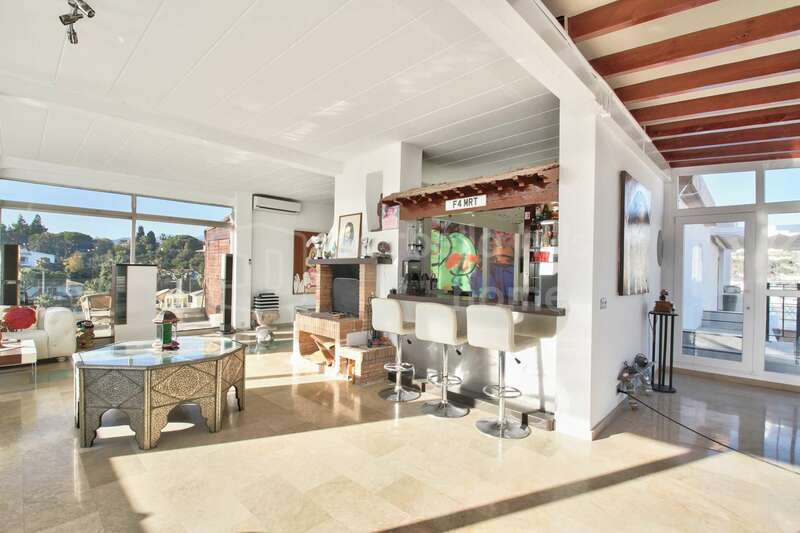 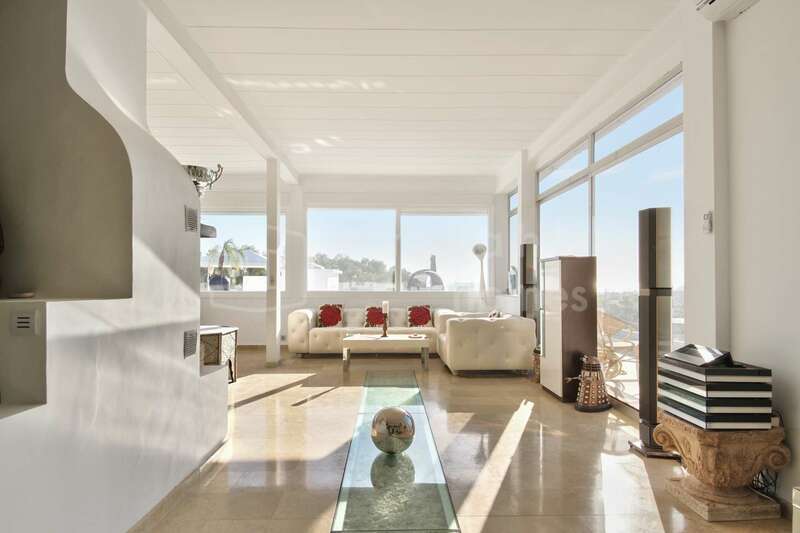 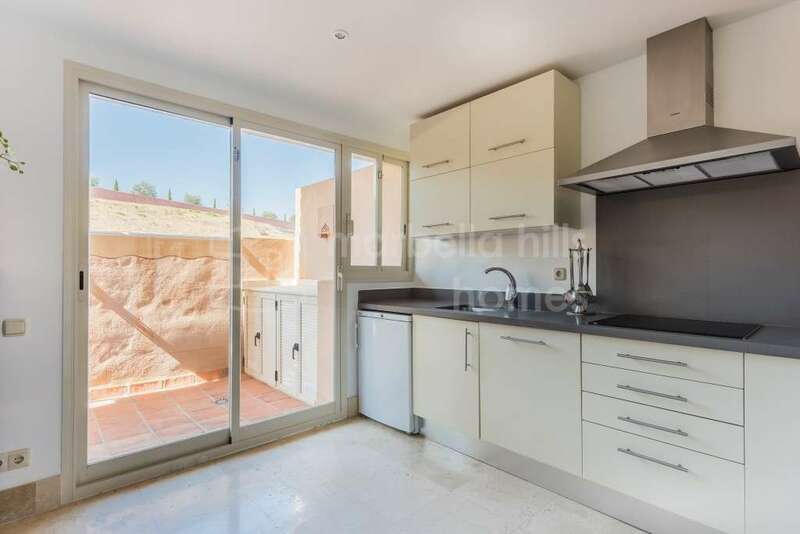 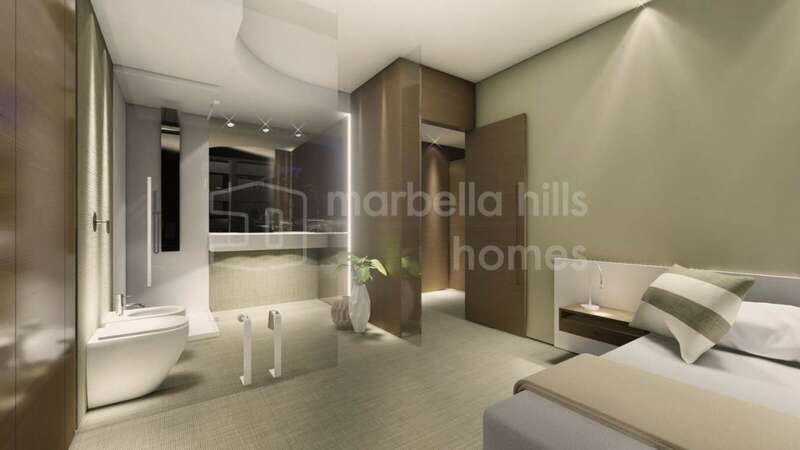 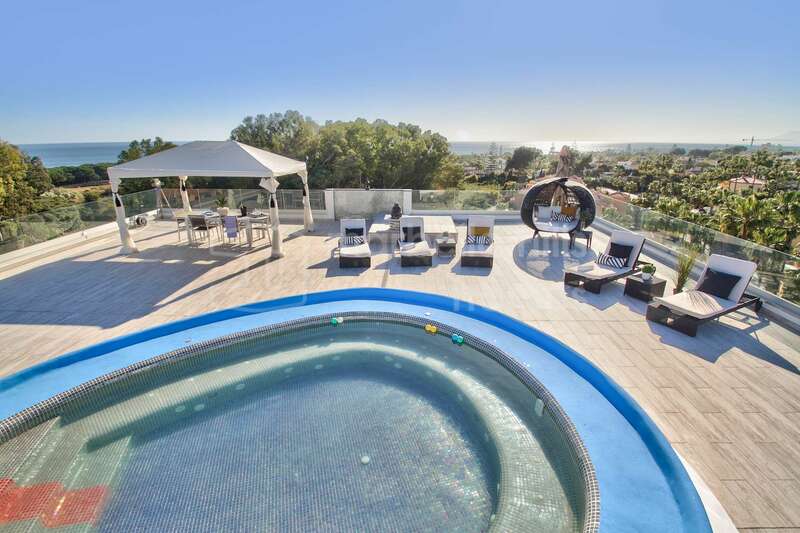 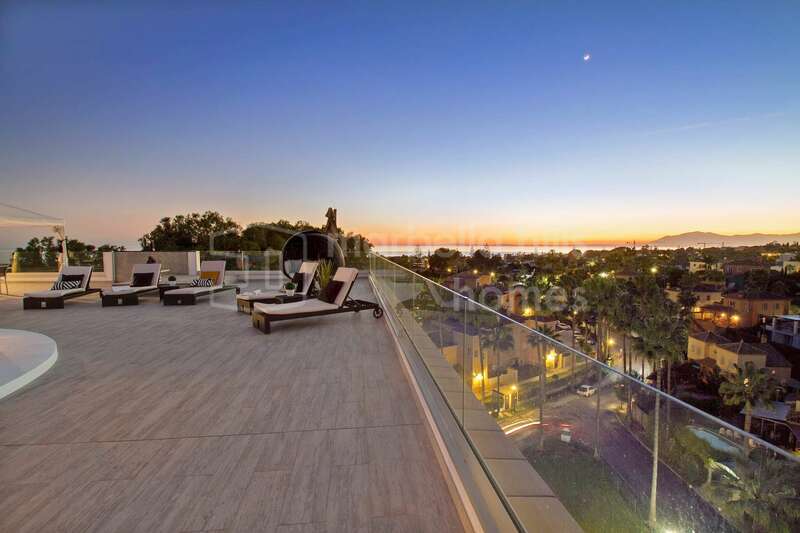 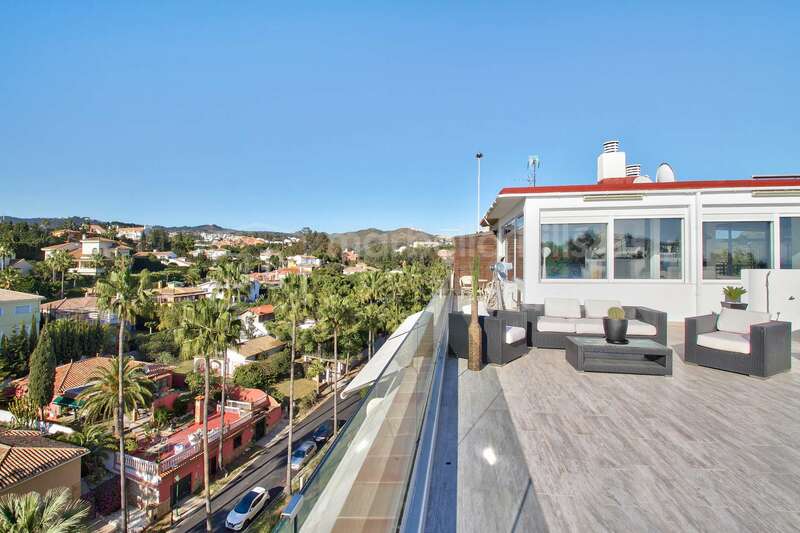 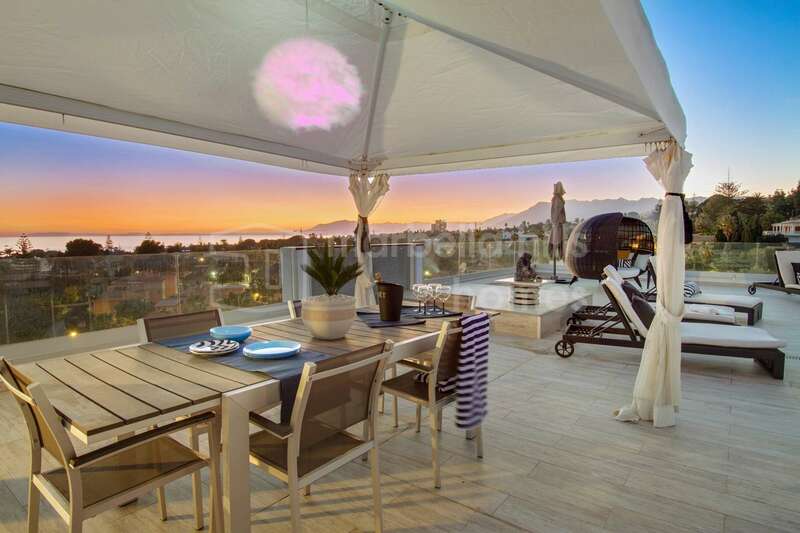 Fabulous three bedroom penthouse located in Marbella East in the private and secure residential complex of Carib Playa – Private swimming pool, sauna and Turkish bath- Superb furnished roof terrace of 400 m 2- Breathtaking panoramic view of the sea and the mountain. 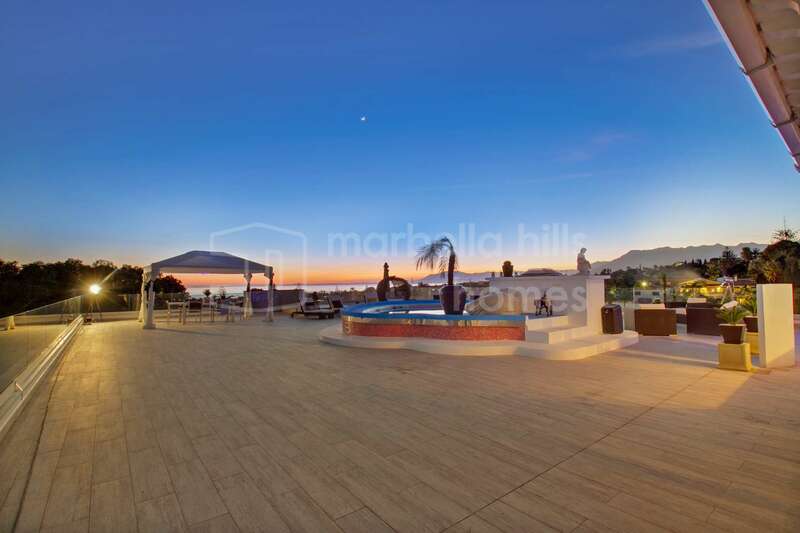 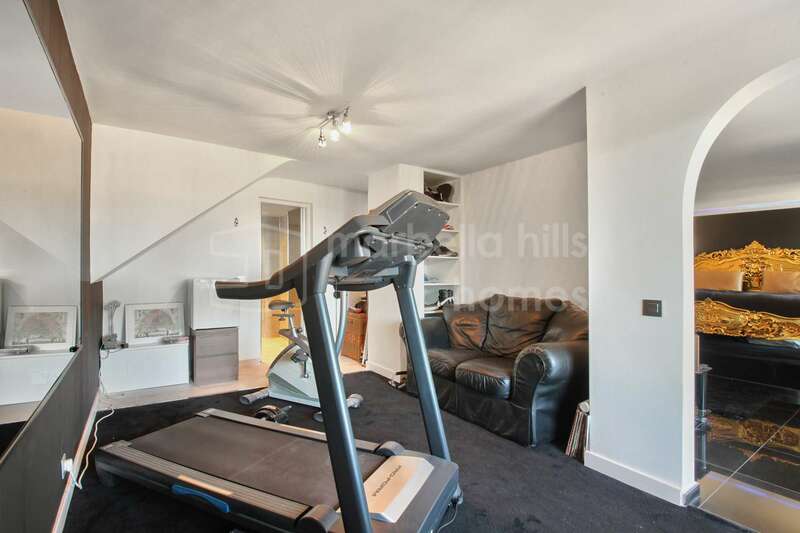 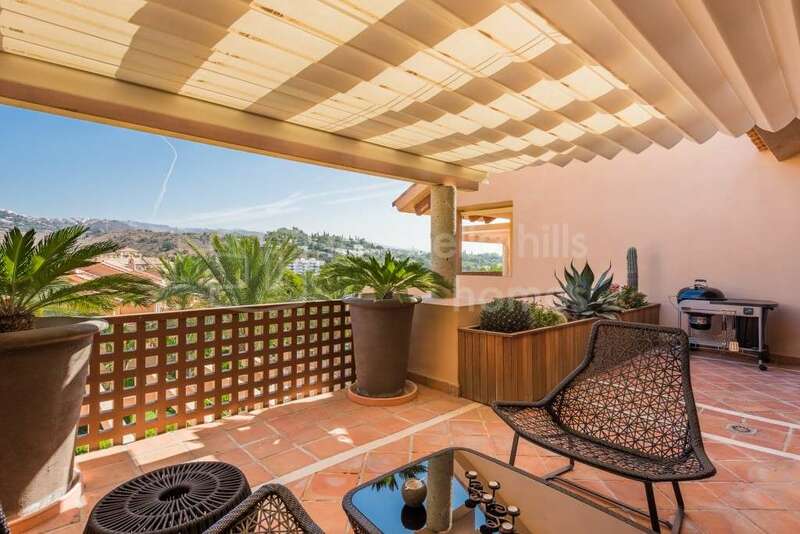 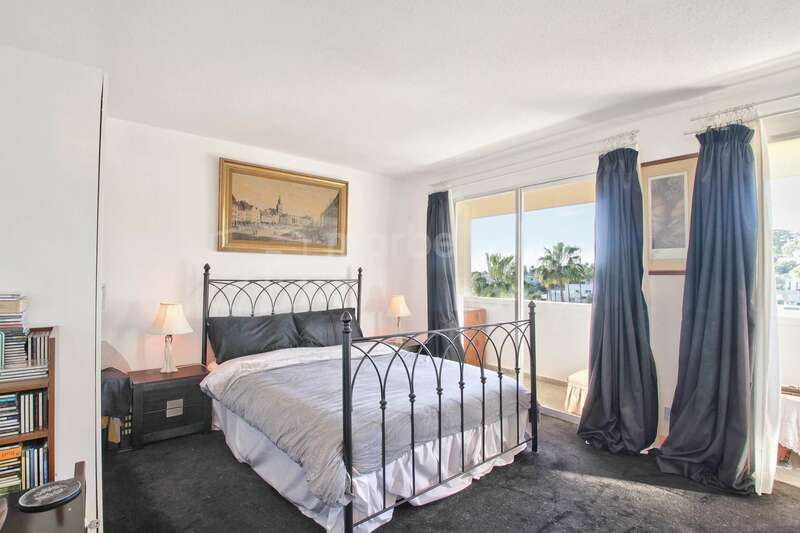 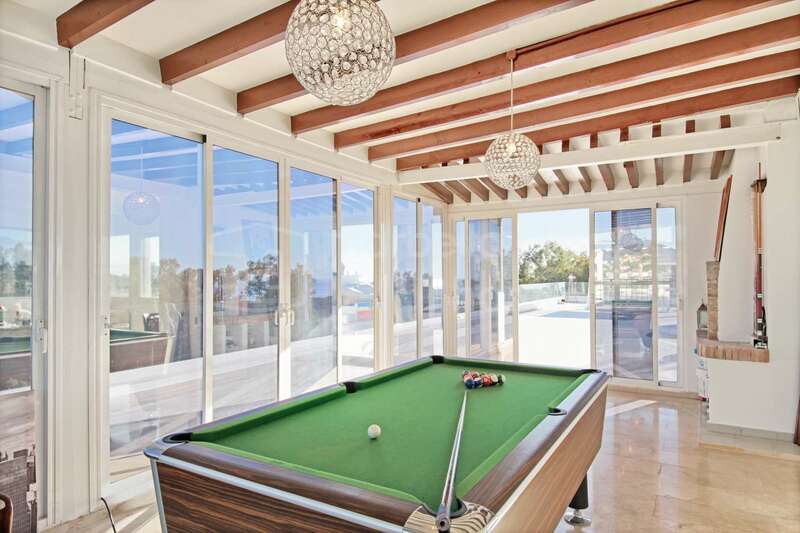 Close to the sea, golf courses and all amenities. 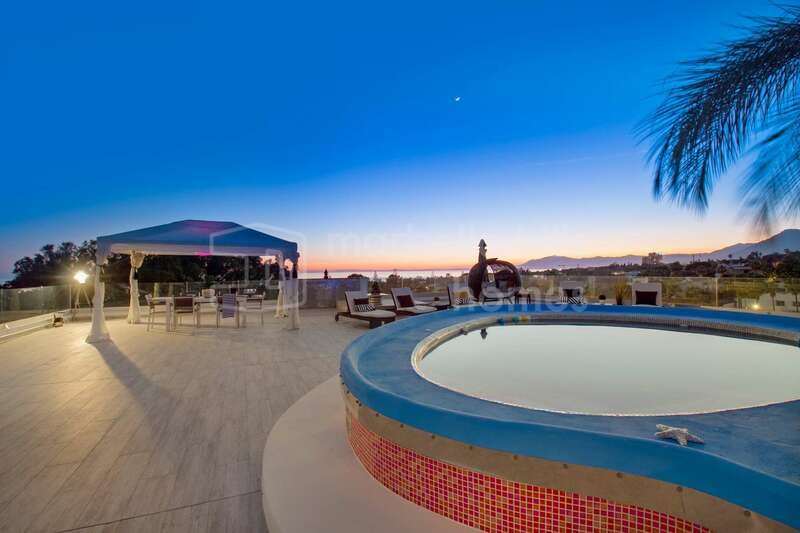 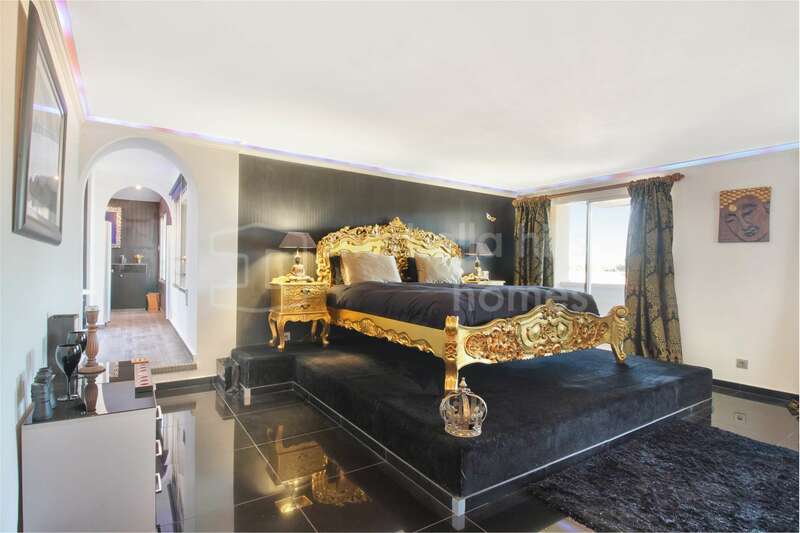 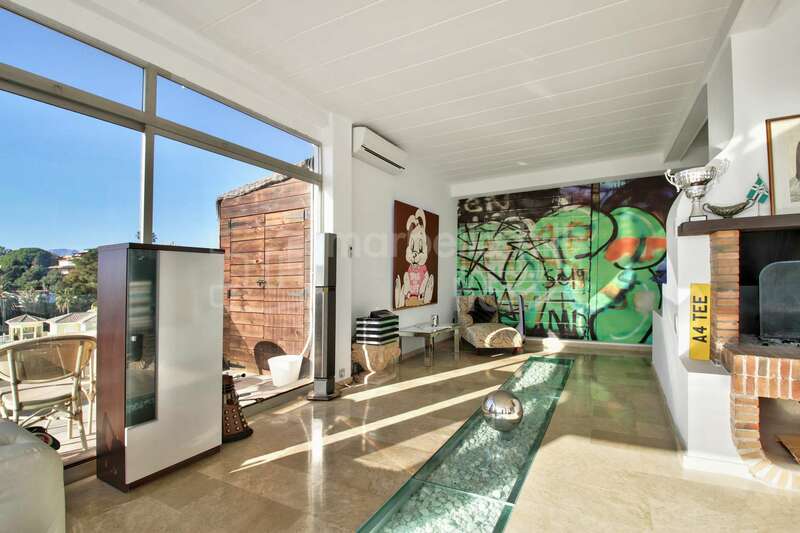 This exceptional penthouse offers on the main level a large living space living – dining room, fully equipped upscale designer kitchen, a master suite with private bathroom and dressing room, two guest bedrooms and a second bathroom , guest toilet- The entire level enjoys terraces with sea views. 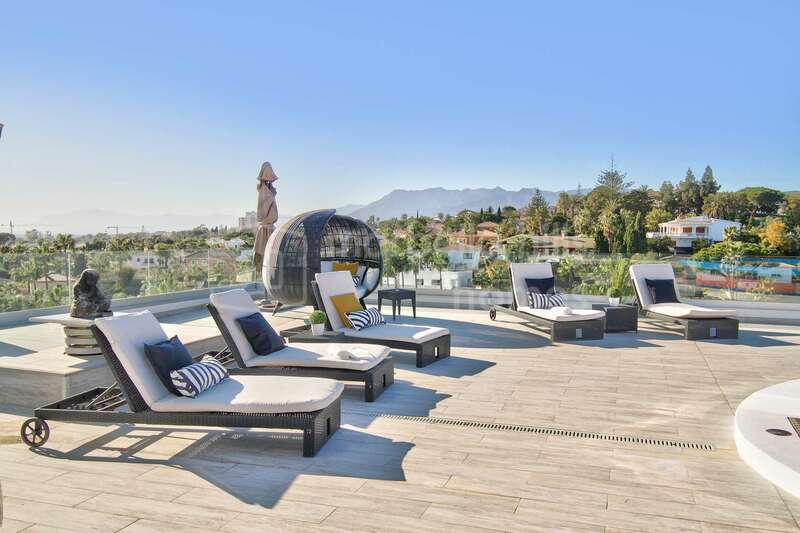 The fantastic roof terrace of more than 400 m2 includes a relaxation area with bar, pool table, outdoor lounge and private pool. 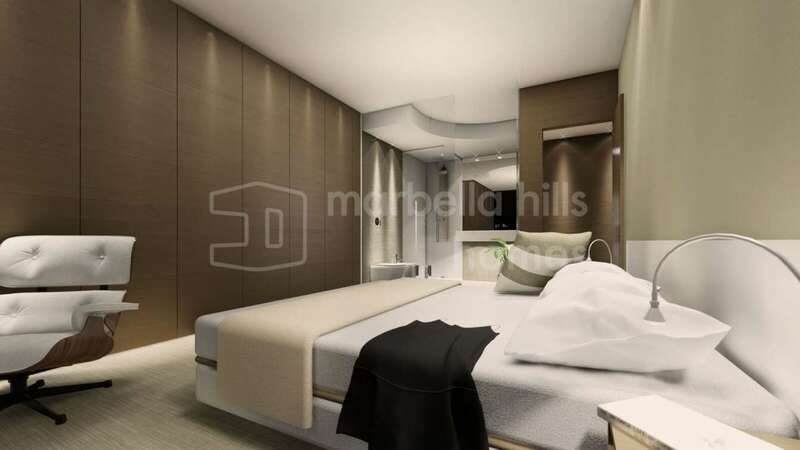 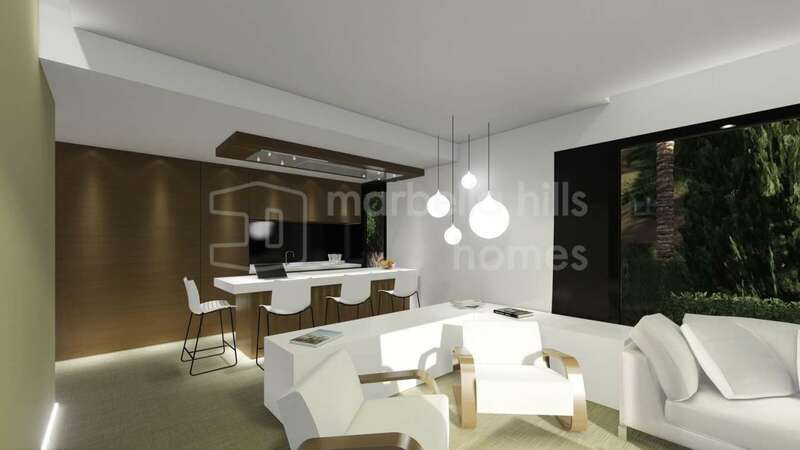 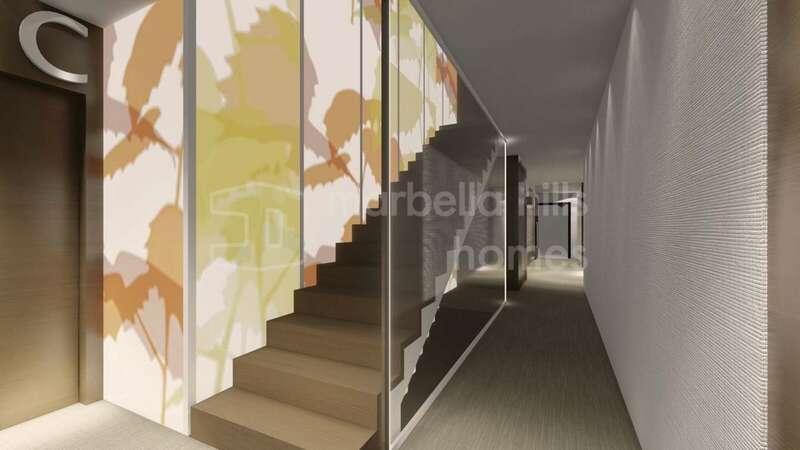 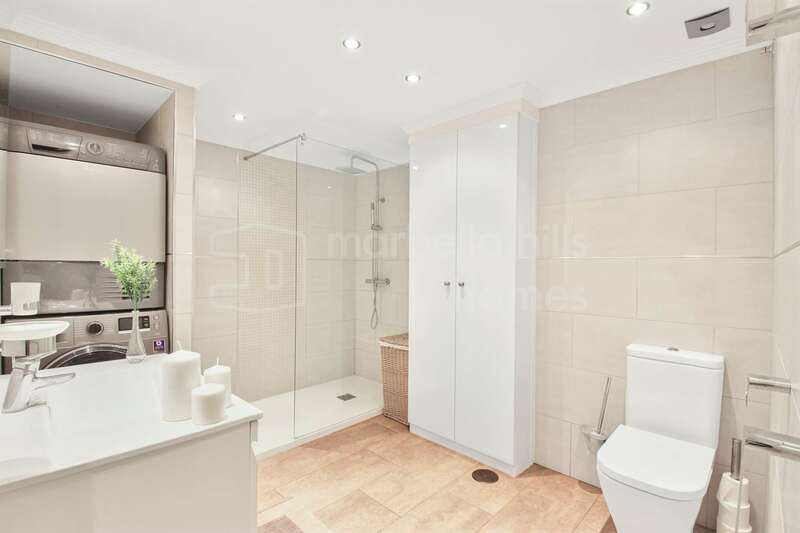 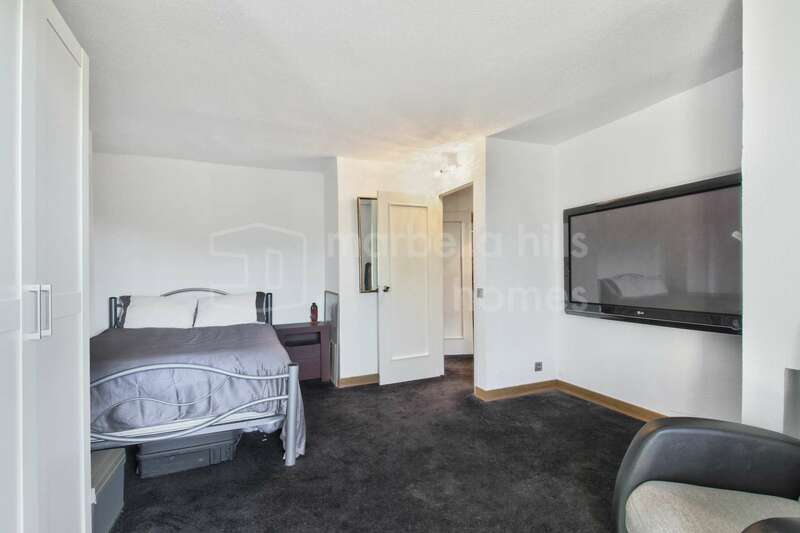 A parking space and storage space in the underground garage are included. 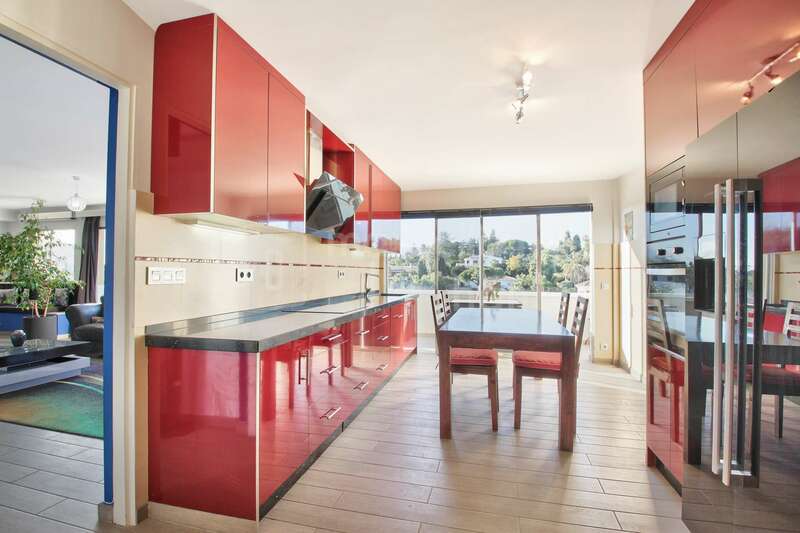 Fully fitted kitchen, Close to schools, Pets allowed, Marble floors, Satellite TV, Guest room, Storage room, Gym, Solarium, Double glazing, Dining room, Security service 24h, Guest toilet, Kitchen equipped, Living room, Amenities near, Sea view, Mountain view, Transport near, Internet - Wifi, Covered terrace, Electric blinds, Fitted wardrobes, Gated community, Air conditioning, Lift, Panoramic view, Beachside, Close to Sea/Beach, Close to Golf, Uncovered terrace, Optional furniture, SPA, Turkish bath, Excellent condition.